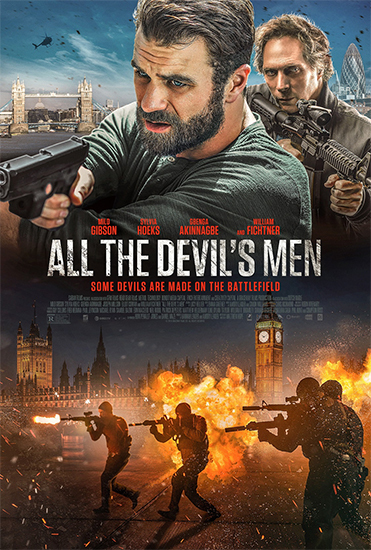 All the Devil’s Men follows a team of hardened military operatives on a relentless manhunt through the backstreets of London in this explosive action-thriller. A battle-scarred mercenary in the War on Terror is forced to go on an overseas mission to find a disavowed CIA operative, which turns into a deadly running battle with a former military comrade and his private army. All the Devil’s Men releases on Blu-ray, DVD, and Digital on February 5, and we have one copy of the Blu-ray to give away to a lucky winner! You have from now through midnight Eastern time on the night of Wednesday, January 23, 2019, to get your entries in. Take a look at the form below to see all the ways you can enter.